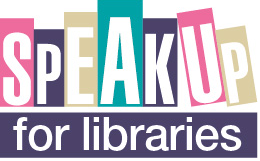 The Speak up for Libraries alliance (which includes Voices for the Library) has updated its election manifesto in time for the 2015 General Election. It is urging people everywhere to make public libraries a central issue in the General Election and local elections. Already, many library services are threatened by, or already experiencing, deep cuts, widespread closures of vital local branches – or the damaging policy of turning them over to volunteers to run. This is a once-in-five-years chance to make sure central government understands that libraries are a low-cost, essential resource for the work of local councils, and for national agendas such as ‘Digital by Default’ – and deeply valued by local residents and the nation as a whole. Full details of the election manifesto, including downloadable copies, can be found on the Speak Up For Libraries site. This entry was posted in team blog posts and tagged general election, government, local elections, public libraries on April 8, 2015 by Gary.